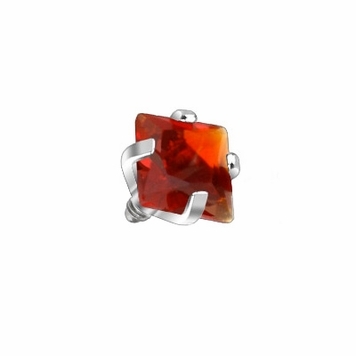 This is an 18pc 316L surgical steel prong set square jewel dermal top internally threaded. Fits into a 14 gauge dermal anchor. The anchors are sold separately. 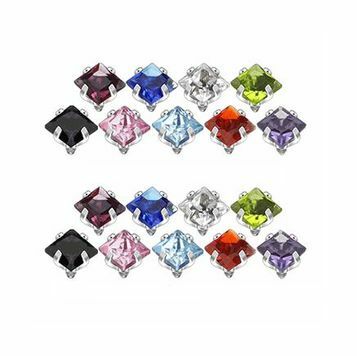 Jewel colors are red, purple, blue, clear, green, black, pink, aqua and tanzanite. Available in 2 sizes (2mm and 3mm). Made as one piece. Not welded. Autoclave safe. Item is nickel free. 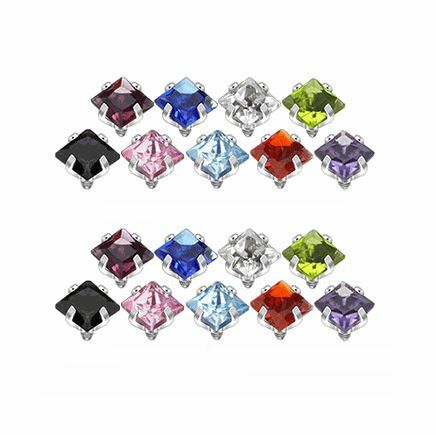 You will receive 18 jeweled dermal tops (2 of each color) in the size of your choice.